A new breed of nonprofit leader simply wants more. You know who you are. Your passion is client impact. You celebrate success with your team. And your next challenge is looming on the horizon. Each layer reinforces the others. What is your next layer? At Leaders in Motion, we are honored to work with leaders and leadership teams ready to transform their social service agencies into passionate, data-driven, client-focused learning organizations. 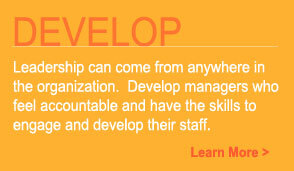 We support nonprofit leaders as they bring performance management to the delivery of social services. We want to help you build performance management systems and a culture that supports learning. 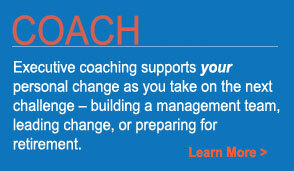 Executive coaching is a great place to begin either for a senior leader alone or for an entire leadership team. We specialize in the complex and exciting challenge of cultural change. We create customized cultural assessment tools so that voices from front line staff and supervisors are heard. We use various assessment tools with you management team to help jumpstart a collective shift in management practices. 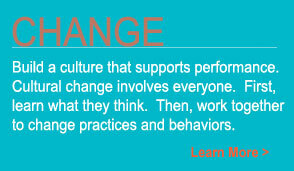 Culture change is tightly linked to Leadership Development work. Managers thrive as they learn to surface conflict rather than suppress it; learn that better communication requires less telling and more listening; and when a dissenting voice appears, learn to step back and thank the messenger. Dr. Barbara Blumenthal brings 20 years of experience to these challenges. At each step, we work together to build a new layer of capacity. Leadership, management, culture and systems – all in support of front line staff.